This weekend I found myself driving a nearly 200 miles on a trip to Sywell Country Park in Northamptonshire. These national parks and water reserves are not only considered a ‘good family day out’ in the midlands, but are also integral to the survival of our british wildlife. Sywell boasts several features ranging from a fairly young and unmanaged Homeopathic wood, to fishing courseries, a family fun wood (where I got very muddy crawling through rabbit runs and stung by nettles), children’s sand pit/climbing frame areas and expansive walking paths that encompass it’s beautiful fish stocked lake. 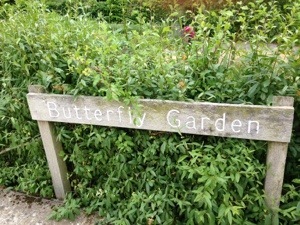 Despite my joy at feeding the ducks and even hand feeding a rather well tempered and tame swan, there was an addition to the park that genuinely made me beam with pride: A Native Butterfly Garden.